In our homes and work places, things go wrong and as a result there might be some breakages and wearing out of pipes in our bathrooms toilets and even kitchens. Whenever this happens, you surely know that it’s the right time to hire a plumber to fix the damage. Not everyone has personal plumbers or knows how to fix the pipes therefore searching for a good plumber to take care of the mess is called for. Getting a good plumber who has your interests at heart can be a very hard task, especially if it is your first time. New home owners in a new neighborhood also find it difficult, however you can always find the best one, out of thousand to do the fixing for you. 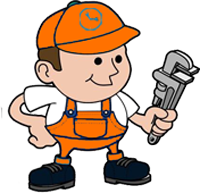 A good plumber should be able to demonstrate their skills and experience for you to be convinced to hire them. The last thing that you want is to have your taps and pipes leaking again after a shoddy service. Therefore it is very important for any home owner to select wisely a good plumber according to their service and experience. There are many avenues of getting good plumbers. One of them is the internet. Carrying out an internet search can save you time, money and energy. This is because you only have to use your computer and internet. You can narrow down the search to your area of residence to avoid getting millions of plumbers around the world. Then you can always find one that passes your criteria. Also you can take a walk and look for one around your neighborhood, or better still, ask your neighbors and friends for one who is most reliable. Before you rest at one, there are several factors that you have to consider, such as the level of training they have in this field. Questioning their levels of training will help you settle for the most suitable and professional one. Obviously a well-trained plumber has adequate knowledge in fixing the pipes than a novice one. Question their legitimacy. Some plumbers cannot be trusted once they are into your house. Some of them may easily turn to become petty thieves thus you should ask them for a card from their company and if necessary make calls to the company to verify that they are indeed the right ones sent. This will make them and their company accountable for any loss of property while they were working at your place.